Frequent earthquakes near Monaco: should we worry? Home/The Riviera/Frequent earthquakes near Monaco: should we worry? In 24 hours, between Wednesday and Thursday last week, nearly three quakes were recorded in the region of Gap and Digne (Hautes-Alpes and Alpes-de-Haute-Provence), with intensities between 1.1 to 4.1 on the Richter scale. Thankfully, there was no damage or casualties. The strongest quake (4.1) was even felt on the Cote d’Azur. Particularly in Nice, where about twenty people alerted the central French seismological office based in Strasbourg. Three minutes earlier, an earthquake of 3.5 occurred, 32 kilometres from Gap. “No,” says Anne Deschamps, a seismologist at the Géo-Azur Observatory, based in Sophia Antipolis. “We are dealing with a small swarm of earthquakes. Apart from the three strongest ones recorded in Gap, the others were not felt by humans. There is no particular reason to be alarmed.” Anne Deschamps notes that in the last 24 hours, there were three Earthquakes, with magnitudes between 3.7 and 4.1. Earthquakes can only be felt when the reach around 4 on the Richter scale. As for the “swarm of small earthquakes”, Anne Deschamps consols: “This activity is ancient and normal for this region”. André Laurenti, a Nice seismology enthusiast, recalls that in 2002 and 2003, “Around 15000 mini-quakes were counted in the sector of Barcelonette”. Should we ignore this activity? Do these earthquakes have any connection with the situation in Italy? Is a major earthquake on the Côte d’Azur possible? “Yes.” Anne Deschamps’ answer is clear. “One can fear a major earthquake, like the “Ligure” earthquake of 1887. Its intensity had been estimated to be between 6.5 and 6.8. If it occurred nowadays, it would be situated further to the West than the one at the end of the nineteenth century. 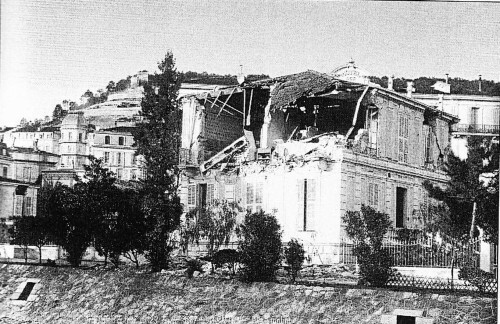 One might fear that it would be closer to Menton.” The earthquake on the 23rd of February, 1887 killed 635 people, including eight in the Alpes Maritimes, Castillon, La Bollene-Wesubie, Bar-sur-Loup and Nice.